Waiting, waiting, waiting – if that’s what you seem to be doing in front of the computer, your Internet connection is the first to blame. Slow internet is a huge cause of lost productivity, customer frustration and missing out on critical business opportunities. Fibre internet is blazing fast but comes with higher prices compared to (the much slower) ADSL2+ or NBN, common to most homes and businesses. Of course, the benefits outweigh the costs many times over. Here are 10 reasons why your business needs a business-grade Fibre internet connection. We don’t have to remind you how slow internet can hurt productivity. ADSL2+ only has a theoretical bandwidth of 24Mbps (read our post on how to calculate download time) but the average ADSL2+ speed for Australia is 12Mbps. 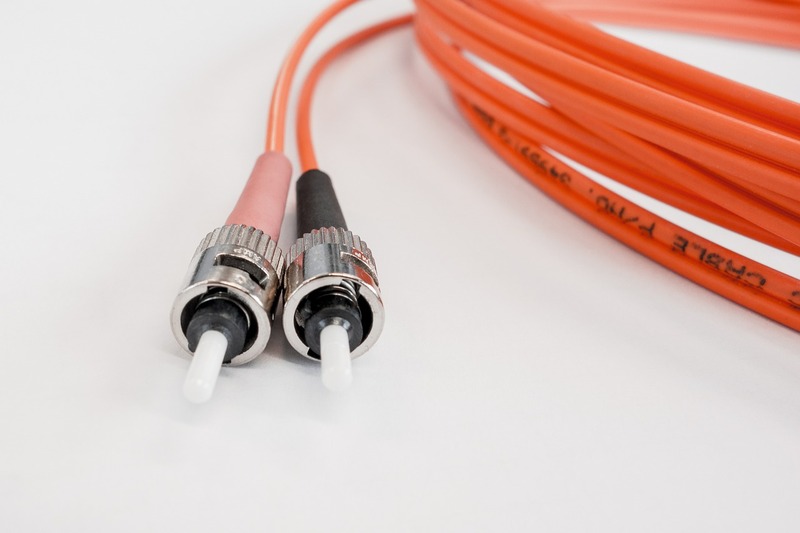 Fibre connections increase your bandwidth by factors of 10 or more – some of the more modest Fibre Internet services start at 2Mbps and can reach up to 10Gbps. A 10Gbps connection can download a 5GB file in only 4 seconds, compared to 1 hour on a 12Mbps ADSL2+ connection. The “A” in ADSL means “asynchronous”. This means your connection doesn’t necessarily upload as fast as it downloads. ADSL2+ upload speeds average around 1Mbps – if you’re fortunate. This can make using cloud services such as CRMs or cloud storage a pain more so than a driver of productivity. Luckily, a Fibre connection is symmetrical meaning your upload speed is the exact same as your download speed. If you have over 10 users and you’re sharing that average 12Mbps, daily browsing and email can slow to a crawl. This makes doing business that much harder. A Fibre Optic internet connection can scale up and down depending on your requirements thanks to services such as “Bandwidth on Demand”. Low bandwidth often means you aren’t getting enough data throughput to support video or music streaming. HD streams need at least 5Mbps and 4K streams need five times that – 25Mbps. ADSL2+, in many cases, just can’t keep up. Video conferencing is dependent on a stable upload and download connection. Since ADSL2+ can only upload at a fraction of the speed it can download at, video conferencing is prone to jittering, dropouts, or your conferencing partners will see you as a pixelated mess. Worse still, it just won’t work at all. Fibre optic internet can also be tailored to serve as your landline or PABX phone system without the need for additional expensive hardware. Businesses can also use many innovative features such as SIP trunking, call redirection and IVRs. By bundling your Fibre Internet Connection with your phone system, you’ll be guaranteed voice performance under our SLA with our Hosted PABX – something that is not possible if you are using ADSL2+ or NBN. If your business is in retail or hospitality, adding value to guests is of paramount importance. You can’t offer wi-fi to your customers on a slow connection. And if you do, it might impact your hotel’s star rating! ADSL2+ uses your phone line – if your phone line is cut by severe weather or other maintenance, your internet goes with it. ADSL2+ is also prone to electromagnetic interference, which can further degrade quality. It’s also less secure, as ADSL2+ signals are carried over public copper wiring. Fibre optic connections can be “uncontested,” which means only your business can use the line at any one time. It doesn’t eliminate the risk of cybercrime, but does help reduce it. Fibre optic connections are more expensive than ADSL2+, but they are more cost-effective over time. Your business can use cloud drives instead of installing costly NAS servers, for example. You can also replace your phone system with Fibre. By using cloud applications, your business could save thousands on licensing software and onsite hardware. Using the “internet of things” – security devices, process automation, etc. Accessing or distributing large (1GB+) files to potential clients without substantial lag time, harming their productivity and your own. Fibre internet is a powerful tool for business, and can change the way your company operates for the better. To find out more about how leveraging Fibre Optic internet can improve your business, talk to Broadband Solutions today.